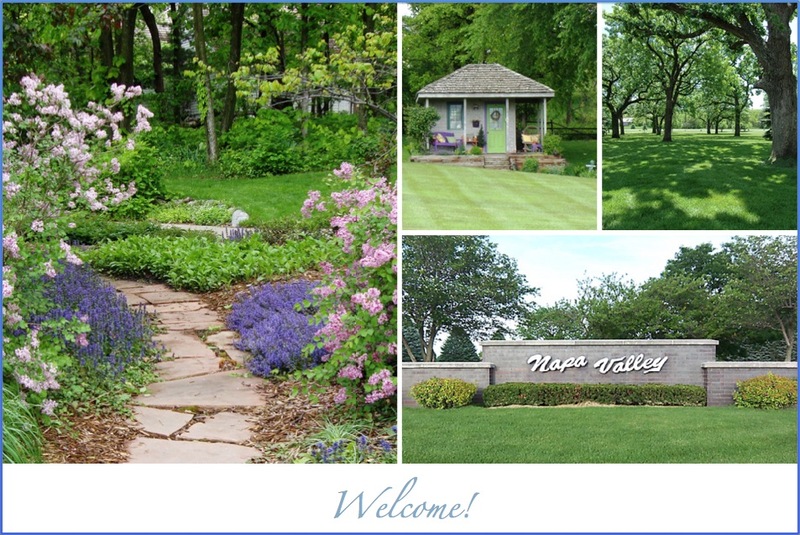 Welcome to the official website of Napa Valley Estates in Waukee, Iowa. This website is paid for by the Homeowners Association and proudly maintained by residents of our community. Napa Valley is an established private community minutes from West Des Moines, Iowa, featuring a casual rural lifestyle in a premier executive home subdivision. The private, gated community places you in the midst of astonishing natural beauty -- with panoramic scenes of the Raccoon River valley and views that stretch as far as downtown Des Moines. Napa Valley has been crafted and meticulously maintained to offer the best real estate Des Moines has to offer in this category. Luxury homes and spacious lots are blended into an inspiring landscape of wooded areas, greenspace, ponds and rolling hills. Large common areas and parks showcase the natural surroundings throughout the community. Residents have quick access to I-80/I-35, West Des Moines, Des Moines Golf & Country Club, Glen Oaks Country Club, new hospitals and the area's top malls, shopping, restaurants and entertainment. Napa Valley offers the best of both worlds: close to everything, yet situated in a peaceful, quiet natural setting.